Organizations that aim to be successful know that the right kind of workspace can keep employees happy and boost productivity. Office design and the work environment reflect on your company’s core values. If you have determined that an open concept office layout is suitable for your business model, then it is essential to focus on designing it the right way because this is something that can make or break your business. A great open office design is one that is a perfect blend of style and functionality while fostering collaboration and helping to invigorate your employees. Be sure to make provisions for future expansion when planning your office layout since you will likely need to accommodate more employees as you grow. There can never be too much natural light or space in any office and this should take priority in your design. 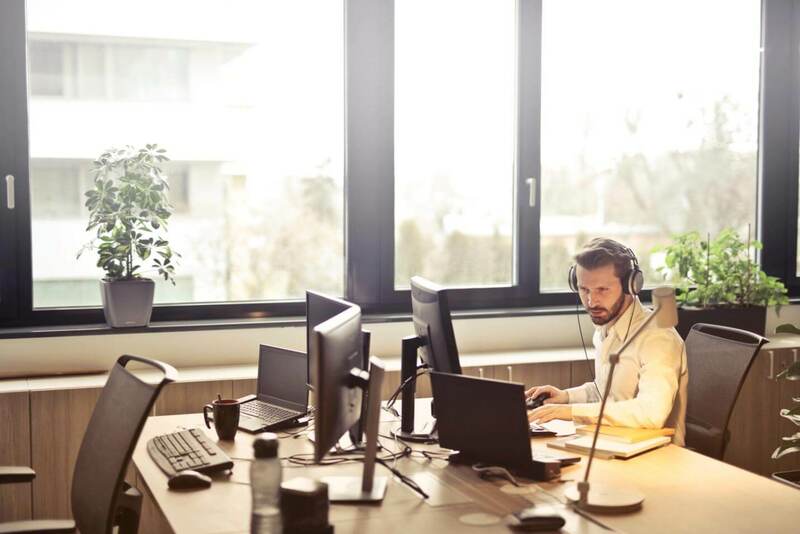 Working in natural light can help cut down on eye fatigue and keep headaches at bay, particularly when employees have to be in front of a computer for long hours at a stretch. An open concept office is conducive to natural light since it lacks obstructive walls. In addition, you can bring in more light to the area and make it look spacious by introducing elegant glass partitions instead of boring opaque ones. Stylish benching desks are another great way of creating an impression of spaciousness. Create a lounge area with contemporary furniture such as bean bags and rockers, or decorate the space around a theme. This can be a space for employees to relax whenever they need to take a break and refresh their minds. The space should encourage socializing among employees. Such casual settings are also suitable for informal meetings and can prove useful in nurturing creativity as well as exchange of ideas. Noise can be a major distraction in an open office layout. While high ceilings and glass doors for meeting rooms are definitely trendy, they can cause havoc with the acoustics in your office. Acoustic treatment of the ceilings and walls and use of sound absorbing panels can help reduce noise significantly; assisting employees in staying focused without compromising on aesthetics. The right type of furniture can not only result in happy employees, but also create a good first impression on visitors. Try to get ergonomically-designed chairs that are also easy on the eye and match your décor. Sit-stand desks are yet another useful addition to your office and afford employees the flexibility of switching positions. The health benefit of such office furniture is yet another reason to use it for your space. While there is no doubt that an open concept office is perfect for nurturing collaboration and encouraging teamwork, there are bound to be times when a little privacy can come in handy. For instance, when an employee needs to make a confidential phone call or perhaps work on a pressing deadline in complete solitude. Putting in privacy pods such as the Loop Phone Booth can be a smart move. These sleek, customizable booths are available in a variety of finishes and colors to add a pinch of style to any office. They are shipped pre-assembled and feature an elegant glass door. These sound proof pods also come with ergonomic bench designs that offer comfortable seating. Give your office an identity of its own by incorporating your logo into the décor in some way. Instead of simply putting it up on a wall, you could try innovative methods such as utilizing one element of your brand for space identification. For instance, if your logo has a triangle in it, you could use that in different colors as a marker to direct people to various locations in your office. Such subtle style statements give your space a personal touch besides making it unique. It is possible that a well-designed office might be better left to the pros and this can involve higher costs. Be assured that the extra expense is justified when you consider the prospect of a cheaper but poorly designed space that can lead to waste of time and bring on frustration among employees. Seek feedback and opinions from employees in your attempt to spruce up your office. Implementing some of the useful ideas and suggestions provided employees can go a long way in helping you tread the fine line between functionality and style in office design. An additional benefit would be the improved relations with your employees!